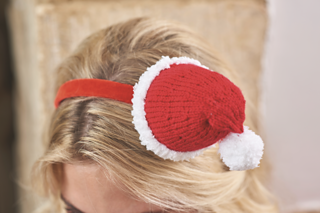 Add festive smiles all round this Christmas with a cheerful, quick-to-knit Santa headband by Jane Burns. Don’t know what to do with that little hank of leftover red yarn? 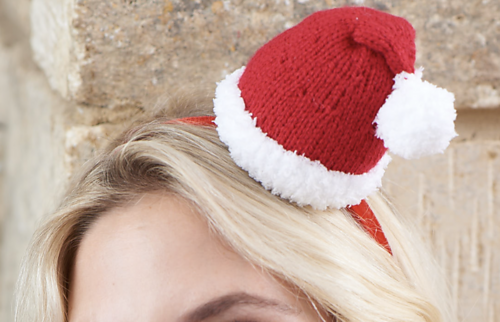 Why not knit one of these sweet Santa headbands, straight from designer Jane Burns? 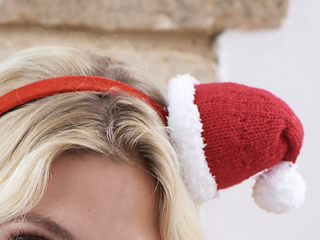 Worked in simple stocking stitch and easy-knit Dk yarns, it’s the best way to accessorise your favourite festive jumper (apart from with a glass of sherry of course). Let the merriment begin!